It's love at first sight...you just know it's meant to be! Your heart flutters; your palms get sweaty. You feel a little giddy. From that first glance, fate seems to have brought you together, like you'd been made for each other. Househunting, renovation, and design TV shows notwithstanding, there's a lot more that goes into buying a home aside from aesthetics, obviously. Still, it can be difficult not to fall in love with a home when it matches every pin you've saved to your "future home" Pinterest board. But just like you wouldn't choose a life partner simply because they're gorgeous (Well, at least we hope you wouldn't! ), you also can't let your feelings run away with you when it comes to buying a home. If you're a longtime follower of the MilitaryByOwner blog, then you're likely familiar with some of our househunting checklists, tips, and tricks. After all, we've been helping military families buy, sell, and rent homes for over 17 years, so we've learned a few things along the way and love to share that information with you. 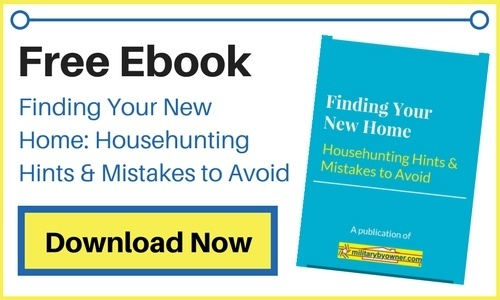 Still, it can be easy to fall in love with a house and let go of your previous resolve to stay objective, so follow along for a few househunting mistakes to avoid, and then find out about the newest ebook in our home buying series! 1) Don't ignore your predetermined budget, no matter how much you fall in love with a place. You're just asking for future problems and heartache if you do! Learn more about getting your finances in order ahead of time with the first ebook in our home buying series, What to Know About Finances Before Buying a Home. 2) Don't ignore a great house simply because it doesn't have the BEST of everything. What can you compromise on? Are you guilty of having champagne taste on a beer budget? Some of us have visions of chef-inspired kitchens complete with farmhouse sinks and white cabinets, unique loft spaces, or living rooms that somehow marry industrial and vintage designs a la "Fixer Upper" style, when the reality is that what we can actually afford is more along the lines of builder grade cabinets and a more modest neighborhood. Compromise on what you can to get the benefits that are most important to you, like an easy commute or good schools for your kids. 3) Don't think your handyman skills will be up to extensive repairs and renovations. Well, unless you are a handyman, in which case, go for it! For the rest of us, let reality remind us that most likely, we'll only be in a home a handful of years and are already dealing with the challenges of a military lifestyle, which may not leave much time for repairs or renovations. 4) Don't fall in love with a house to the exclusion of reason. "House love generally leads to heartache and limits options. There's a reason we all have “a house that got away” in our past. For those of us visually motivated and who can hardly think of anything else after seeing original built-ins in a charming 1920s craftsman...this DON’T is a very real challenge. Like a house just enough to be able to walk away if a surprise problem sidetracks the proceedings! No transaction is perfect, and each house will have a downside that needs to be viewed realistically. Renters and buyers make bad decisions after they become attached to a house, which also leads to desperation." 5) Don't underestimate how much time, research, and paperwork is involved with buying a home. Understand the differences between pre-qualification and pre-approval for a home loan and get that process started well in advance of house hunting. Then, allow plenty of time for looking at homes, attending open houses, and decision making. Figure out a system for keeping track of the homes you view, whether it's taking notes or some other method. And keep in mind that the average time for closing on a home with a VA Loan is about 30 to 45 days (with exceptions, of course). Though I don't want to dash all your lovey-dovey thoughts of your future home, some objectivity will serve you well when it comes to a large purchase like a house. Should I plan a pre-PCS househunting trip? 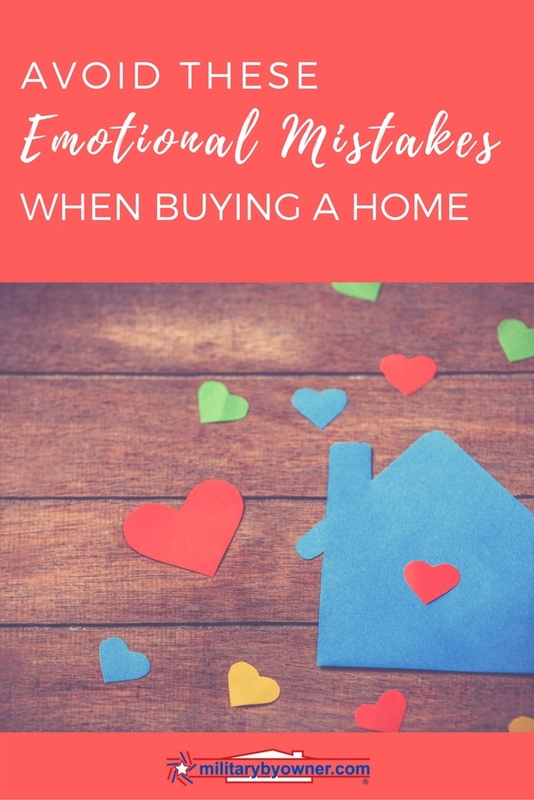 What home buying mistakes can I avoid? How do I choose a home in an area where I've never lived? Along with many more tips for military homebuyers!